Here are the top 500 returning times for New Jersey from the 2018 season. The ultra-talented Athing Mu leads the 200m girls returners with her 23.63. That performance was party of a big AAU Junior Olympic Games where she also won the 400m, 800m, and 1500m. The defending Meet of Champions winner Lauren Princz of Egg Harbor Twp is back to defend her title as a sophomore. While she was missed indoors Sydney Hawkins looks to make a strong return this spring. 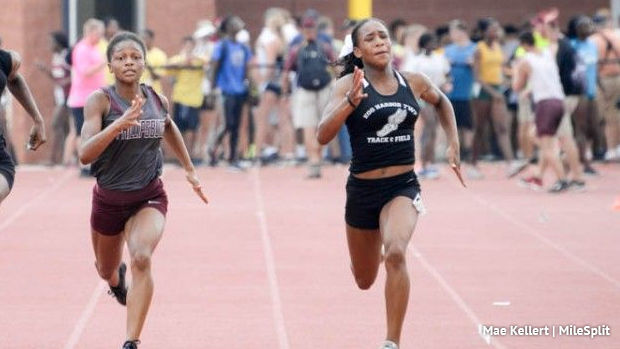 Dennisha Page, Mariah Fede, Shauntae Nelson, and Sydney Tucker all had strong indoor seasons.